Researchers have long known that Fragile-X Syndrome is caused by a single gene defect; however it is only recently we have begun to understand how neuronal processing is affected by this disorder. Fragile-X syndrome is caused by the loss of the Fragile X Mental Retardation Protein (FMRP), the protein product of the FMR1 gene. This protein has a transient and activity-dependant expression and appears to play a number of roles in the neuron. 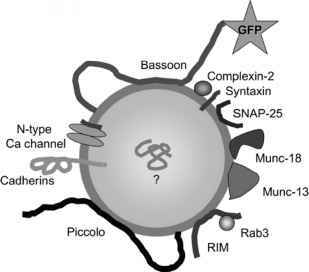 Functioning as a shuttle and a repressor for mRNA, FMRP seems to have dramatic effects on both synaptic plasticity and synaptic structure. It is hoped that by restoring these functions in individuals affected by FXS, that new treatments for the disorder can be created. This chapter introduces the reader to the nature of Fragile X Syndrome (FXS) and describes how the loss of FMRP can have profound effects for both synaptic architecture and function.